It might seem confusing reading that headline up there. Let me make it simpler. 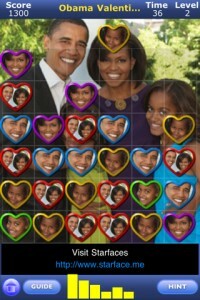 StarFaces is the iPhone app that lets you create and share a connect-three type of game where you can completely customize the game tiles by using photos of you, your friends, or your family. In Starfaces, your face is the star! First up, I need to point out the rather confusing navigation of the app. When you first launch it, it might appear as if you've just launched the App Store app. The bottom bar gives you the most popular games, a featured category, the store option, share and profile. From these, you wouldn't really guess that "Share" is where the action is. As soon as you get there, the app does a great job to walk you through the puzzle creation. 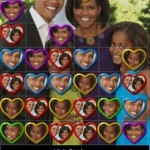 You have to select 5 photos that you'd like to use in the game as tiles. 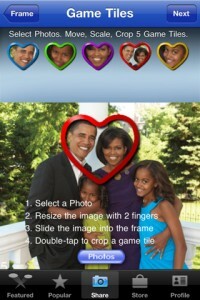 You can either select them from your Camera Roll, your Facebook albums or snap a picture on the spot. Next up select the application's icon, by essentially the same process as before. Then your game level background. Once that's all done, you have to acknowledge that you own the rights to those photos, and you're ready to share it with the world. What the app essentially creates is a new way to share games with your friends, and not only. As soon as you open the app, you're presented with a list of featured games. These are games created by others and shared with the world. You can choose to play any of those games by simple pressing play. The game artwork will download on your device and you're good to go. 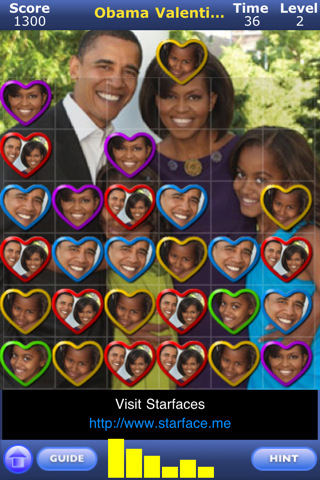 Essentially, you're playing the same game, it's only the game tiles and the background that has changed. The game itself is nothing spectacular. It's just your classic connect-three type of puzzle game, where you need to switch game tiles between each other so that three of the same type are connected. 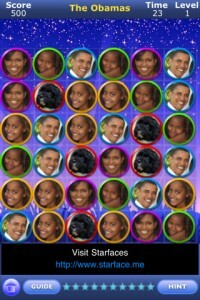 They then disappear from the screen and more tiles will appear from the top. The game is time based and each successful elimination of tiles gives you points. 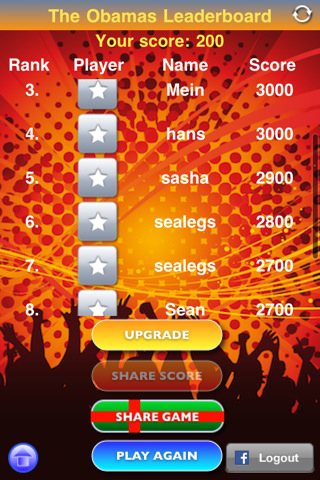 It integrates with GameCenter to give each game its own global leaderboard. With StarFaces Pro, you have a bit more flexibility in creating your puzzle game, including creating more levels, each with different background, selecting a game track to fit the mood of your game and even get in-app purchases like premium picture frames. With Valentines Day coming up, I'm guessing a lot of you will be interested in this one. What do you think of StarFaces ? scroll down for our comment section.